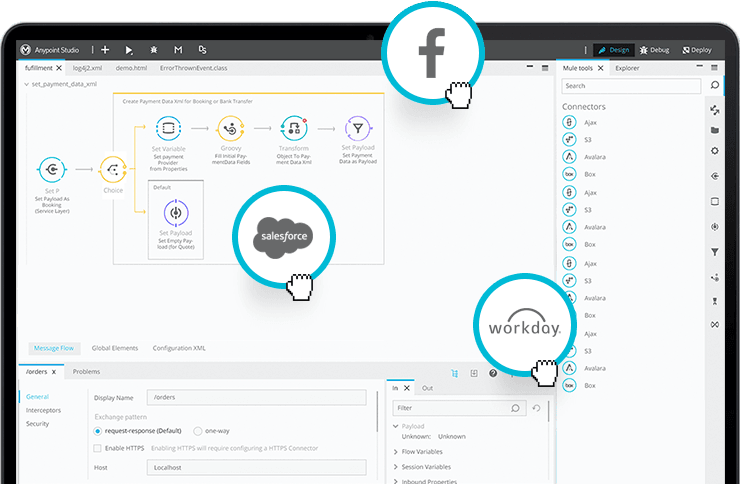 Basically, it is used to solve business problems where integration needs to be done between a legacy system and Salesforce. Its capable of handling the integration between a variety of connectors. The transformation is just so simple. We can use XML, JSON, and Java for it. The functions used in the transformation connector should be prompted automatically. RAML should be designed and compiled within the Anypoint studio. We live in the world where one system cannot solve all of your business problems, because of that we want to make sure that information is exactly the same across multiple systems and Ethos allows this to happen. Your identity and everything related to you will be exactly the same in all systems across the board. With cloud solutions coming up at the speed of light, it is imperative that every solution you acquire has accurate data in order to be efficient and cost-effective. First and foremost, it is capable of integration using a variety of connectors. Secondly, the transformation is just so simple, we can use XML, JSON, and Java for it. Thirdly, it's an all around good product. It has everything you need to start from scratch and deploy on CloudHub. We have not used any other product similar to this, but for us, it made sense that the first product we tried was made by the company who developed our ERP system because they know the system inside/out. Solutions made by other companies that only look into documentation does not mean they would be able to create a product that could do such integration well. Connect any endpoints using out-of-the-box connectors, dynamic connectivity to API specifications, or by building reusable connectors with Anypoint DevKit™.